If your dog is allergic or sensitive to common ingredients found in regular dog shampoo, you may want to try using a hypoallergenic dog shampoo. 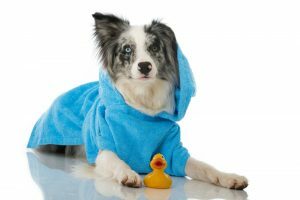 You might wonder, what is a hypoallergenic dog shampoo, why should I use one and what are the benefits of using hypoallergenic dog shampoo? 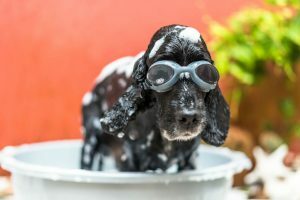 We answer these two questions and review four of the best hypoallergenic dog shampoos below including the best selling Pro Pet Works. Let’s check it out. Why use a Hypoallergenic Dog Shampoo? What does Hypoallergenic Dog Shampoo do? 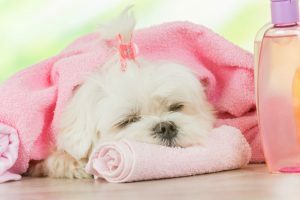 Does Hypoallergenic Dog Shampoo Work? Will Hypoallergenic Dog Shampoo Kill Fleas? 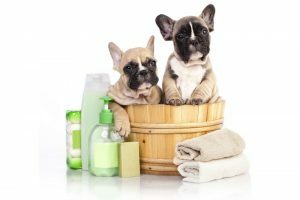 Does Hypoallergenic Dog Shampoo Expire? 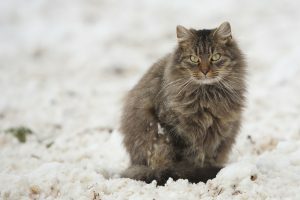 Can you use Hypoallergenic Dog Shampoo on Cats? If you are looking for a natural shampoo and conditioner for your pet, then the Pro Pet Works Hypoallergenic Cat and Dog Shampoo is a good choice for you. Pro Pet Works is the best hypoallergenic dog shampoo and conditioner available. It is safe to use on all your pets including cats so you can buy one bottle and wash them all, saving you from having to buy several different products for each of your pets. Pro Pet Works backs their products with a 100% money back guarantee. Pro Pet Works strives to be environmentally friendly by using bottles made with recycled materials. The shampoo itself is 100% biodegradable and 100% non toxic. 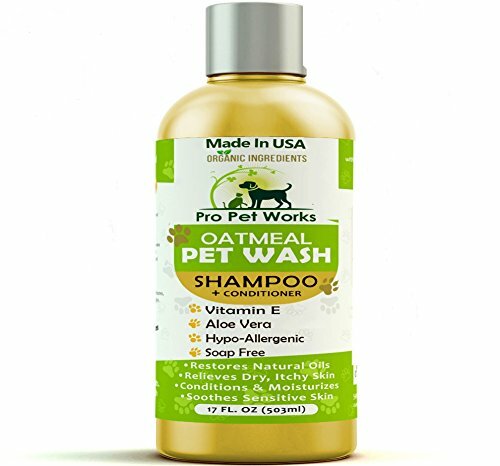 This oatmeal, aloe vera, and almond based shampoo is tested by vets and works great for pets with allergies to grass, food, and flea bites. The natural, organic ingredients work as a deodorizer leaving your pet smelling fresh. It does not contain any alcohol, sulphates, parabens or harsh chemicals. 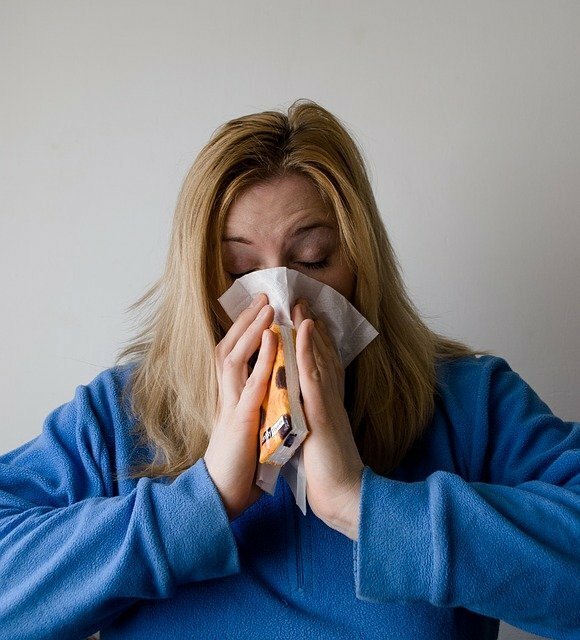 To make it safe for your pets, it is odorless. Pro Pet works great for pets with allergies with a focus on itchy, sensitive and dry skinned pets. Bonus: it also gets rid of fleas! Unfortunately if your pet is allergic or sensitive to gluten, grains or wheat, this Pro Pet Works Shampoo contains oatmeal. It’s always recommended to do a patch test to ensure your pet doesn’t have an allergic reaction. Because this dog shampoo is not concentrated, it will create suds. If your dog or furry pet is one of those which suffers from such skin problem, the best solution is to use the Pro Pet Works Hypoallergenic Organic Oatmeal and Aloe. This product is not just a shampoo but conditioner, too. And that is just one of the reasons why fur parents prefer this over the other brands. According to the manufacturer, this product is a 5 in 1 solution to various skin conditions which afflict cats and dogs. Soothes itchiness, dryness, and irritation. When it comes to your pets, you want only the best for them. That is why many pet companies manufacture commercialized products for animals including toys, foods, and shampoos. One of the best-selling dog shampoos today is the 4-Legger Certified Organic Dog Shampoo. 4-Legger prides themselves on providing USDA certified organic products to use on your pets. Synthetic chemicals that could harm your pet in the long run aren’t used in creating the large line of 4-Legger pet products. 4 legger contains cedarwood essential oil which is a natural flea repellent. It also moisturizes your pets coat and skin. 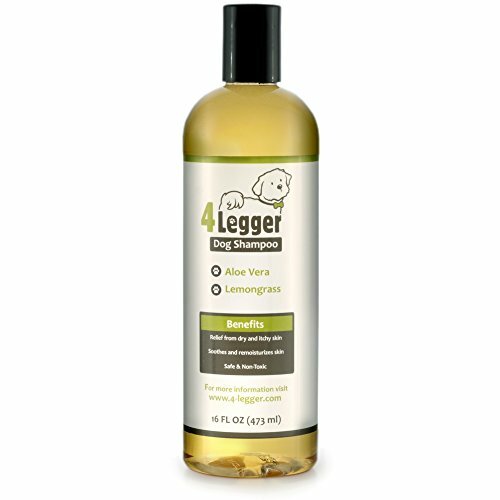 The all natural ingredients make 4 legger gentle on dogs and easy to lather and rinse off. This means that dog owners that use 4-Legger Certified Organic Dog Shampoo should save money in the long run because they can use less product with each bath. 4 Legger makes everything from organic shampoo to paw balm for your pets. Bodhi Dog Company specializes in providing pet owners with a huge range of eco friendly pet products. If you are looking for all natural, organic, eco friendly pet and dog shampoo look no further. Bodhi All Natural Oatmeal Dog Shampoo is safe for puppies, kittens, and pregnant pets. Bodhi Dog Shampoo contains no detergents or alcohol which can dry your pets skin and fur. They’ve also made sure to create a 100% non toxic shampoo. There are no artificial fragrances, parabens, colors or preservatives. Always read the ingredients to ensure it fits the definition of an eco friendly product. Bodhi offers a discount if you order 2 or more shampoos plus, if you order on a subscription you receive a small discount as well. If your dog is allergic to gluten, grain or wheat, this shampoo contains oatmeal and should not be used on your pet. Try one of the other recommended brands. With an average 4.7 star rating on Amazon, and over 400 customer reviews, you can’t go wrong with choosing this earth friendly pet shampoo for your pets needs. Bodhi Dog Company has a ton of pet products from doggie wraps to shampoo to odor and pet stain remover. View their line of products here: Bodhi Dog Company. Hypoallergenic dog shampoo contains ingredients that are less likely to cause your dog to have an allergic reaction. 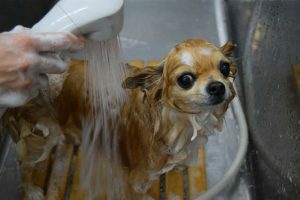 It cleans your dog just like regular dog shampoo although it may not lather as much because typically, hypoallergenic dog shampoos do not contain soaps or detergents that can irritate your dog. Hypoallergenic dog shampoos can soothe irritated and inflamed skin, provide relief for flea bites, burns and hot spots. YES! Some of the best selling and most effective dog shampoos are hypoallergenic. The natural and allergy reducing ingredients clean your dog just like any other brand of dog shampoo, but without all the chemicals, soaps and detergents. Any dog shampoo that you use will remove fleas from your pet. 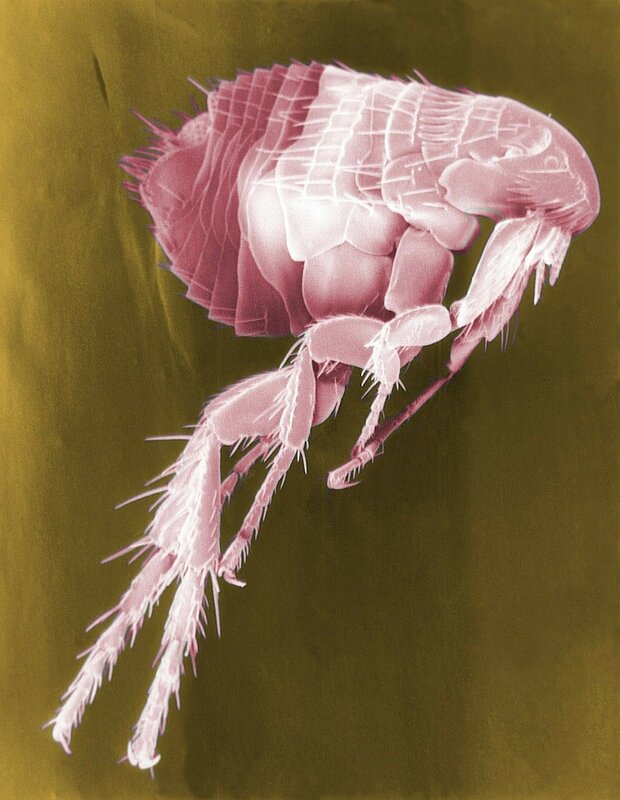 But, unless it actually claims to kill fleas and their eggs, then the fleas will not die. You should choose one of the best flea shampoos if you have a flea problem. Check out our reviews of the Best 3 Flea and Tick Shampoos for Dogs Proven to Kill Fleas. 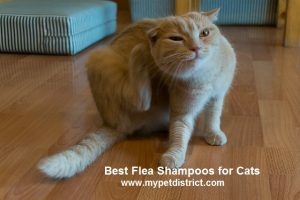 If you have a cat, check out the Top 4 Proven Best Flea Shampoos for Cats. If you’re keen, you can take a few basic ingredients from your kitchen cupboard and make your own hypoallergenic dog shampoo. Check out a basic dog shampoo recipe from our post HERE. Yes, hypoallergenic dog shampoos expire. Most of the products that you use on your pet have an expiry date. 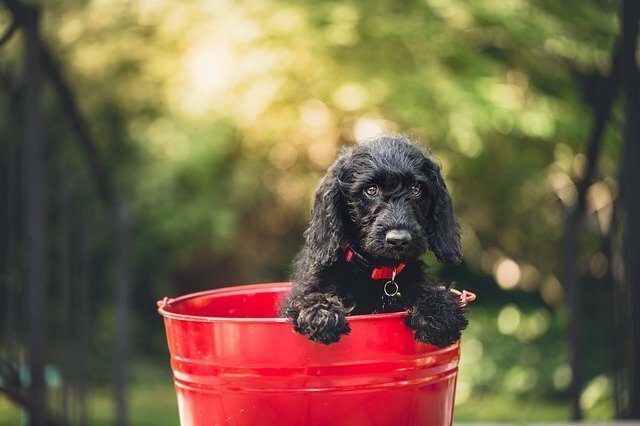 Because hypoallergenic dog shampoos have natural ingredients (and may have no preservatives), they may actually expire sooner than regular dog shampoo. You will find the expiry date on the bottom or top of the bottle, or maybe on the label. Using expired products could lead to the skin problem getting worse so please, don’t use expired products on your pets. Every dog is different and the needs of their skin and fur can vary. The best selling hypoallergenic dog shampoo is Pro Pet Works because it is tested by vets and works great for pets with allergies to grass, food, and flea bites. It’s formulated specifically for itchy and dry skinned pets and can be used on all your pets including cats, rabbits and ferrets. No. Unless the shampoo says on the bottle that it’s made for dogs AND cats, do not use any kind of dog shampoo on your cat. It could contain ingredients that are poisonous to your cat and may injure them badly. Buy a shampoo like Pro Pet Works, that is formulated for both dogs and cats. Still not sure which hypoallergenic dog shampoo to buy for your dog? Check out our top 10 best selling dog shampoo post below to help you choose!